The Doping Control Research Group performs scientific research to contribute to the progress of doping control in sports, with the objective to ensure a clean sport and to protect the health of athletes and general population. It is formed by personnel belonging to the Catalonian Antidoping Laboratory. The research group has been recognized by AGAUR (Agència de Gestió d’Ajuts Universitaris i de Recerca, Generalitat de Catalunya) as a consolidated research group (2017 SGR 81). The research focuses on the development and the improvement of analytical methods to detect the misuse of doping agents, as well as on the study of new markers to improve the detection of substances and methods prohibited in sport. In addition, the group works on new mass spectrometry techniques for detecting and quantifying drugs and their metabolites, and endogenous metabolites in biological fluids to study pharmacokinetics, metabolism and pharmacodynamics. The team also collaborates with other research groups in determining environmental pollutants in biological samples. Metabolism of anabolic androgenic steroids (long-term metabolites). Study of the factors influencing the endogenous steroid profile. Discrimination of prohibited and permitted uses of glucocorticoids. Discrimination of prohibited and permitted used β2-agonists. Detection of the use of blood transfusions. Use of dried blood spots in doping control. The Research Group is developing several projects funded by national and international organizations. The Catalonian Antidoping Laboratory is one of the laboratories accredited by the World Anti-doping Agency (WADA-AMA) to perform doping controls in athletes. The laboratory (former Barcelona Antidoping Laboratory) received its first accreditation in 1985 by the International Olympic Committee. In 1994 the laboratory was also accredited by the Association of Official Racing Chemists (AORC) to undertake doping controls in animals. In order to develop its activities and comply with the WADA and AORC directives, since 2000 the laboratory has the ISO 17025 accreditation from the national accreditation body (ENAC No. 239 / LE485). The laboratory is equipped with a wide range of chromatography-mass spectrometry instruments: liquid chromatography-tandem mass spectrometry (triple quadrupole), gas chromatography-mass spectrometry, gas chromatography-tandem mass spectrometry (triple quadrupole), and gas chromatography-isotope ratio mass spectrometry. The laboratory has also equipment for applying immunological and electrophoresis methods. The Laboratory has more than 200 scientific publications, and staff of the laboratory has been awarded for its scientific activity (Manfred Donike Award-Scientific Excelence in Dope Analysis in years 2003 and 2004; Spanish National Award in Research in Sports Medicine in 2010). 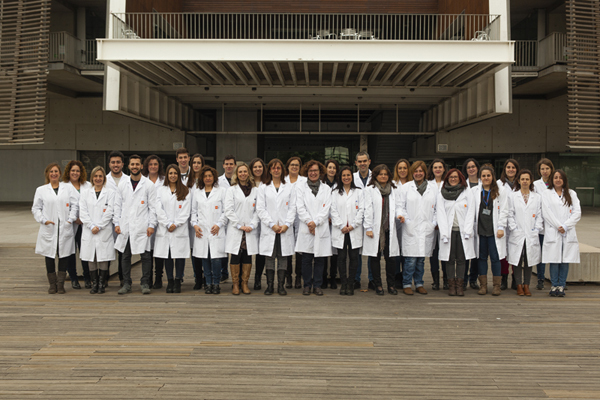 Researchers of the Laboratory are actively involved in several training programs, among others: Human Biology Degree, Universitat Pompeu Fabra, Barcelona; Master in Laboratory of Analysis, Universitat Pompeu Fabra, Barcelona; European Master on Quality in Analytical Laboratories, Universitat de Barcelona, Barcelona; Master in Forensic Analysis, Universidad del País Vasco, Bilbao; Título propio: Química y genètica en nutrición y deporte, Universidad del País Vasco, Bilbao; Master in Applied Chromatographic Techniques, Universitat Jaume I, Universitat de Girona i Universitat Rovira i Virgili; Master in Analytical Chemistry, Universitat de Barcelona, Barcelona and Escola Professional de Medicina de l’Educació Física i l’Esport, Universitat de Barcelona, Barcelona.